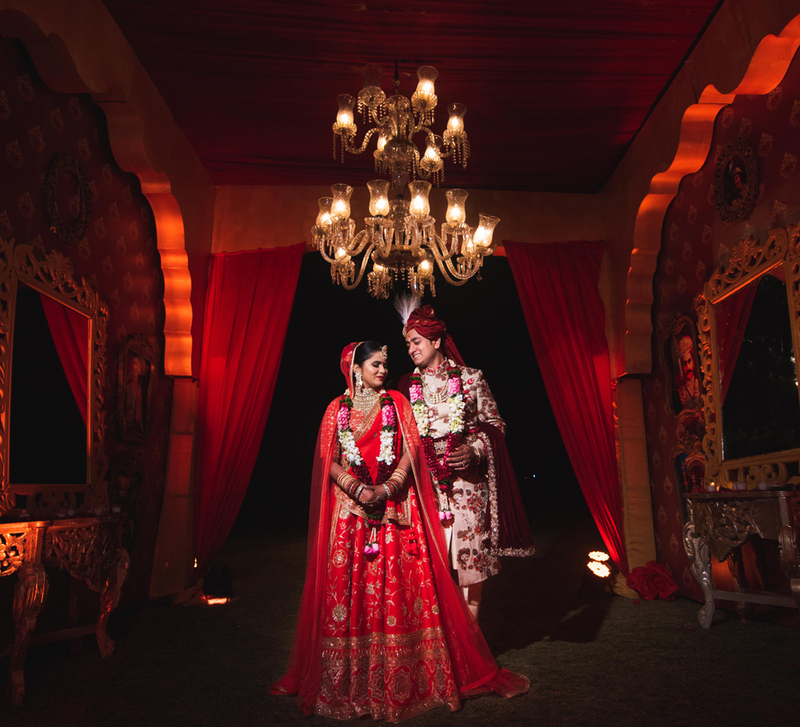 A surreal mix of cultures sets the environ for Sabrina and Dhruvik’s wedding festivities with a florid alfresco décor set up to complement their personalities. 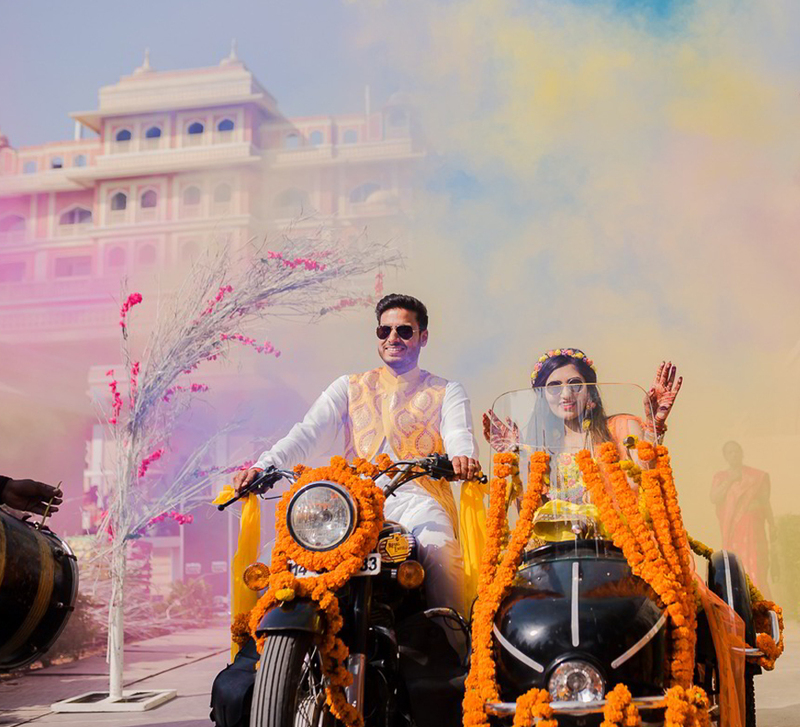 As yellow and orange hued blooms decked the interiors of the Club Kensville Golf Resort, Ahmedabad, Sabrina and Dhruvik’s wedding festivities celebrated perfectly intertwined customs, emotions and most importantly, love! 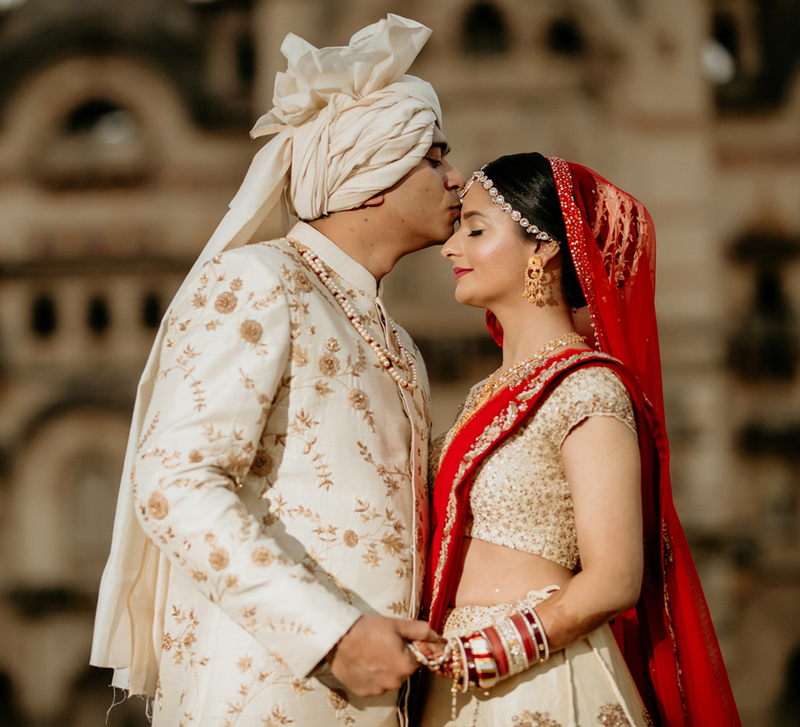 The beguiling union and the moments leading up to it were captured beautifully by WeddingSutra Favorite Frames N Films. Here are some of the highlights from the wedding ceremonies. A beautiful family portrait featuring smiles during the Mehndi ceremony. 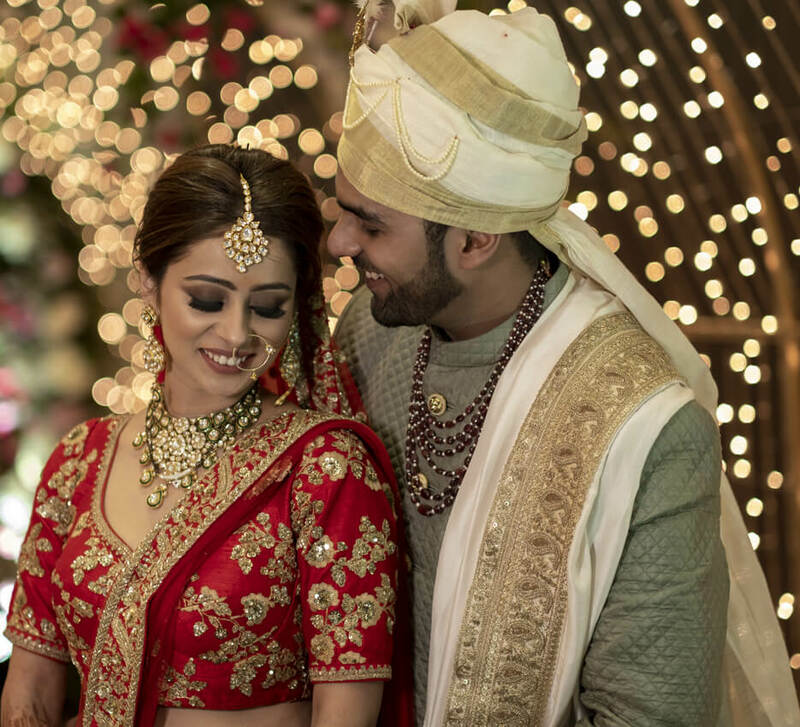 Dhruvik admires his bride Sabrina with that little twinkle in his eyes! Sabrina shows off her bridal Mehndi with Dhruvik’s name hidden somewhere amid it. The bride’s mixed emotions caught on camera in the midst of the joyous celebrations with her mother as they celebrated the Haldi ceremony. The squad gets playful as Dhruvik gets coloured yellow at his Haldi ceremony. The lively Haldi ceremony was then followed by an energetic Sangeet night. Dhruvik absolutely killing it on stage with his gang! Sabrina and Dhruvik get their candid side to the fore for the photographers. And the mandap is all set! The south Indian vibe enhanced by those vibrant florals light up the site as the Pandit prepares for the nuptials to follow. Sabrina goes for the traditional deep hued lehenga enhanced by heavy embroidery work and a touch of Mughal jewels that completes the look. An emotional moment right before the father takes the bride to the mandap. A Muslim custom embraced as the bride adorns sehra while she makes her way to the mandap. A tint of glimmer in the eyes when you finally get to see your better half! Sabrina and Dhruvik being whisked away in a rather unique ride for the night!